you where to download The 3 Easy Steps To A Professional Swing Plane Program. How Would You Like To Get Personal, 1-on-1 Coaching From Me So That You Can Beat Your Buddies, Lower Your Scores And FINALLY Play Consistent Golf? It’s a big promise, I know. After all, you can search the internet far and wide and find thousands of articles, videos, etc. that promise to help you play more consistent golf and lower your scores. But do these methods actually work? Have they been tested? Or is it all just theory and fluff? 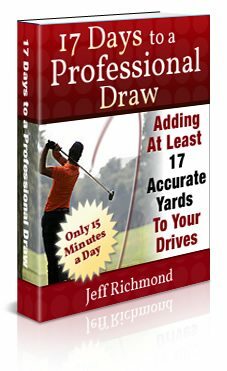 Listen, in a few moments you’ll be able to start my proven Easy Swing Plane program you just purchased, which will undoubtedly put you on the correct path to better ball-striking. True consistency involves improving your entire game. Ball-striking, short game, putting, etc...because that’s what it takes to score really well (even on days you don’t quite have it) and reach your potential. Just to let you know that your 2nd month debit has come through my bank account. It’s a real pleasure to pay you the USD 17 per month. As far as I’m concerned you have “over delivered” a hundred fold, and I’m very, very happy with the first five lessons from the Consistent Golf School, and all the free bonuses. This is really a unique and different method of teaching , from all the many previous lessons I’ve had with pro’s. I’ll be sending you a video in the next few weeks, as soon as I have a video camera. The truth of the matter is my students are happy to pay $17 per month for my Online Consistent Golf School program because it flat out works. It helps them do something that a brand new $2,000 set of clubs can’t do; shoot lower scores and play more consistent golf. Seriously, you can’t get a bottle of water at your next golf lesson for a buck (you’ve probably got 4 quarters hiding under your couch cushions right now). This $9.97 trial offer is designed to be a “no brainer.” You simply “test drive” my Online Consistent Golf School program for 14 days, and if you decide to stay in you’ll be billed $17 for your first month. If you cancel in the first 14 days, it’s just $9.97. However, just in case you’re still on the fence, you’re also going to get my entire “instruction vault” of content absolutely free (a $311 dollar value if purchased separately) as my way of saying thank you for taking me up on the $9.97 offer. How to grip the club to help you hit consistent draws. The total setup needed to hit a consistent draw. 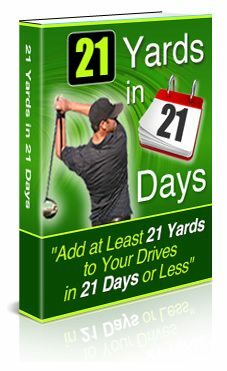 So after just 21 days YOU WILL be hitting your drives AT LEAST 21 yards further than you are right now. This program is selling right now for $47. But it’s yours FREE with your trial of The Consistent Golf School. 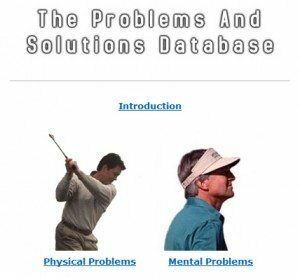 As a student of the online Consistent Golf School you’ll have full access to a BIG database that will quickly give you the solution to virtually any golfing problem you’re having. New Student Bonus #4: Personalized 1-on-1 Golf Instruction and Support From Me! There’s no doubt you’ll find huge value in the problems and solutions database, however sometimes you need a little extra 1-on-1 guidance. Even the best golfers in the world have coaches, and I’m here to be yours. If you’re experiencing a problem with your golf game that you just can’t quite get a handle on, I’m here to help. You’ll have direct access to my personal email address, where you can send me any questions you have regarding your game. I guarantee you’ll get a fix for your problem (directly from me) within 24-48 hours (Monday-Friday). I have students paying $50 a month just for this, but it’s included in your monthly membership to my Online Consistent Golf School..
I’m a strong believer in video feedback, because often times feel vs reality are very different things in the golf swing. As a member of the Online Consistent Golf School, you’ll be able to send me one video of your golf swing every month for the lifetime of your membership. I’ll provide a full analysis of your golf swing, and send you back a list of actionable items to work on in order to continue getting better month after month. It couldn’t be easier! It would cost you over $50 per month for this feedback anywhere else! On the 1st and 15th of each month you’re going to receive a new product review. You see, I’m constantly reading and researching other golf products to not only keep learning and improving my knowledge and skills but to also see if these products are worth you buying. And if they’re not I let you know in no uncertain terms so you won’t waste your money. When you join the online Consistent Golf School now you’ll also be able to download FREE (in 7 days from now) the digital version (i.e. 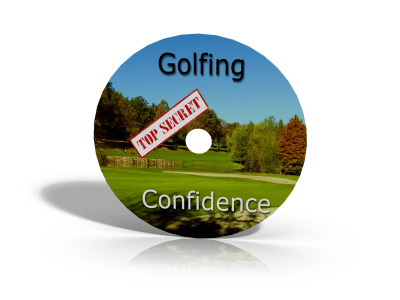 you can download it to your computer) of a golfing confidence CD that has been sold for $24.95. After coaching thousands of students, I’ve developed a unique, one of a kind approach to help golfers play their best golf…consistently. It’s only 5 steps (details are included with your $9.97 membership…today only), and it’s guaranteed to lower your scores or your money back. Step 1 – When you join this online golf school you’ll need to remember your last 5 games of golf and rank these four aspects that make up a game of golf from the weakest to strongest. The Long Game – i.e. tee shots, fairway woods, hybrids, iron shots etc. The Short Game – i.e. pitch shots, bunker shots, chip shots etc. 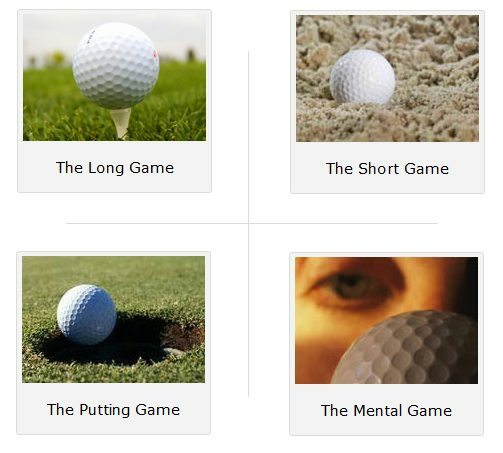 The Putting Game – i.e. short putts, long putts, green reading, distance control etc. The Mental Game – i.e. confidence, anxiety, concentration etc. Step 2 – Then you’ll get a proven step-by-step practice program that will improve the weakest part of your golf game. As part of this program you’ll get a new lesson every seven days that will build on the previous lesson. Step 3 – You then need to follow that improvement program and focus exclusively on improving the weakest part of your golf game until it’s at a level you’re happy with…considering the time and effort you want to put into it. This will help you to improve your golf game the fastest and quickest way possible because by focusing on turning your weaknesses into strengths you’ll naturally lower your scores….FAST! Step 5 – You’ll go back to step 1 and repeat the process for the next weakest part of your golf game. So if that proven 5 step Consistent Golf Formula makes sense to you and you’d like to get all of the bonuses featured on this page for free then this is what you need to do. Click the ‘Add This To My Order’ button below for just $9.97 on a 14 day risk-free trial. No thanks. I understand this is my only opportunity to try the online Consistent Golf School for $9.97. I understand I will never get this chance to improve my entire golf game for just $1 and I’m okay with that. Listen, some students just like you are currently paying $37/month for this program, but you can try it 100% risk free today for only $9.97, and then only $17 per month thereafter. Quite frankly, I can guarantee their isn’t a better online golf instruction offer on the market, which is why I’m prepared to make this risk free offer…today only. Oh and did I mention you can keep all of the bonuses, FOREVER, just for trying out my Online Consistent Golf School? When you join the online Consistent Golf School now you get a full 60 day money back guarantee. If you’re not happy with it for any reason then within 60 days of joining you can get 100% of your money back — without any hassles. YES!…you have 60 days to try out the new lessons that you’ll be getting on a weekly basis and if you don’t improve or think you will improve then simply get your money back. But if you do improve, naturally you will want to remain a student. But you only need to do this as long as you’re improving and benefiting from being a student of this online Consistent Golf School. That is why I say…“you’ll only pay if you improve™”. By now I think it’s pretty clear; you literally have nothing to lose. You either decide you want to continue at $17 per month after your initial $9.97 trial, or you can easily cancel and keep my $311 of bonus material absolutely free just for trying it out. Simple. Straight forward. No-brainer. Let’s do this. Simply click the “Yes! Add This To My Order” button below to get started…immediately (even if it’s 3 AM). Strong words? Maybe, but aren’t you tired of not playing the kind of golf you know you are capable of playing? Sure, no golfer hits every shot great, but what if you could hit more solid, high-quality golf shots throughout your round, and under pressure…wouldn’t that result in a massive improvement in your game? You’re never going to get results unless you take action, put in the work, and earn it, which starts with your measly $9.97 investment…today only. Ask yourself this question…where will your golf game be one year from now if you do nothing? You’ll be stuck. Stagnant. No improvements. More frustration. It doesn’t have to be that way, let me show you how my way can get you the results you’ve been looking for…100% guaranteed, or your money back. If you’re not 100% sure whether this online golf school is for you, join anyway and then use the 60 day, 100% money back guarantee if you have to. That’s what it’s there for….to protect you! I’d hate for you to miss out on becoming a consistent golfer because of bad experiences with other inferior golf improvement products. And besides, you're only going to get this amazing $9.97 trial offer once. None of us know how long we have to enjoy this great game, which is why life is wayyy too short to be frustrated with poor golf. You found this page for a reason, and you’re still reading it for a reason. This is exactly what you’ve been looking for to get your game “over the hump” and reach your next gear. Is it a magic bullet solution? Nope (although there are plenty of snake oil teachers out there telling you there’s a “fast” and “easy” path to success…there isn’t). But if you’re willing to listen to what I have to say, and devote just a few minutes each day (even in front of your mirror at home) to becoming a better golfer, I can help you do just that. The choice is yours. Do you want to start improving in just 5 minutes, and continue to improve day after day, month after month, and year after year? I thought so. Click the yellow ‘Add This To My Order’ button below, pay my “hefty” $9.97 fee, and I’ll see you on the other side. P.S. When you join this online golf school by clicking the button below it will be added to your Clickbank order. So your order is completely secure and safe with them and that’s why I choose them to process my student enrolments. No thanks. I understand this is my only opportunity to try the online Consistent Golf School for $9.97. I understand I will never get this chance to improve my entire golf game for just $9.97 and I’m okay with that.